You are here: Home / News / Coco's Co-Hosting Family Day in Studio City! Coco's Co-Hosting Family Day in Studio City! 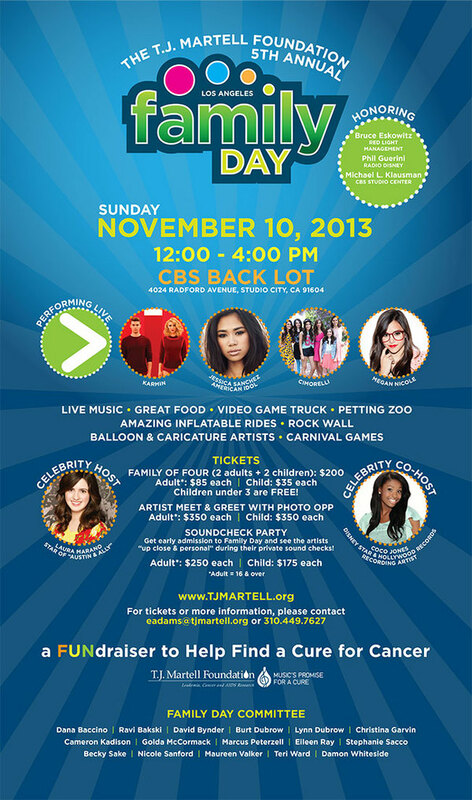 Coco will be co-hosting the 5th Annual Family Day in Studio City November 10th! Family Day is a fundraiser to help find a cure for cancer brought to you by the T.J. Martell Foundation. For more information and tickets to the event, check out tjmartell.org.